In a note to clients, Bernstein Research's Pierre Ferragu warns that Nokia may have “to take the pill before one cannot afford to do so anymore” eying Android as a possible fit for Nokia's low-end devices and indicating that the symbiosis with Redmond may run the Finnish company into the ground. “Based on what?”, you may ask, and Ferragu has the answer – sans the Nokia-Siemens Network division, the iconic handset manufacturer is running out of cash. Furthermore, Ferragu argues that the feature phone market is shrinking and slowly ceases to be the cash cow that Nokia needs it to be, at the same time Windows Phone has failed to create the required traction. This comes with Nokia finally catching a break – the main force behind Windows phones, it certainly is behind most of the OS's latest expansion. According to Kantar's latest figures, Microsoft's mobile OS runs on 6.8% of total devices in EU5 countries (Germany, Great Britan, Italy, Spain and France), a 2.5% increase on year. A meager 0.9% increase is also seen in the States, now at 4.6%. Furthermore, with aggressive pricing strategies, we can definitely see the duo gaining more ground on US soil in the future. Moreover, Windows Phone did achieve its goal – it is now the third mobile OS in the world. This, combined with the latest research data should at the very least placate the naysayers and ease the strain on Nokia as the company seems to be doing better than in recent years. But we can't help but wonder whether Nokia should switch over to Android, at least partially. Please Nokia listen to the analysts. I've been saying this ever since I bought a Lumia 900. Adopt Android before you can't! Give it time.. WP is quite developing fast, unlike Android in its early stages. And it's a very stable, efficient and fluid OS. But yeah, I also think Nokia should at least make phones for another OS, in case WP's growth becomes stagnant. But then, you can't give it time when it's just making you bankrupt. WP IS the problem. I agree I like it, but if it isn't bring you profits, why wait for it to pay off? Nokia might be dead by then. That's what M$ wants before bidding for it. They want NOKIA to be a walking CORPSE before any move to bid for it. I totally agree! And logic states that if Nokia is indeed the main driving force behind WP then either Microsoft will pump money or 'take over' them. Or then can make some lower end models with the free Android OS. Nokia should get back to MeeGo before it's too late. They'll share same apps with Jolla's Sailfish OS. Stupid Nokia and stupid, boring, ugly Android. I suppose iOS is fun? Android doesn't change their interface every SIX YEARS. Oh wait, it's Apple, people buy their products and don't care a fart. Not that MeeGo was bad, but going backwards doesn't seem to be a good idea. I would sell what people are looking for now, that's Android with some really good value adds, not necessarily a fancy UI. People want a cool looking phone that their familiar with, so give it to them. Once the customers have returned, then play around with a MeeGo device. But right now, they need Android. excuse me, ugly android?????? YOU CAN MAKE IT LOOK ANYWAY YOU WANT!!!!!!!! you've been drinking the kool-aid for too long buddy. nokia does not adopt android until 2016. if they do so,WP marketshare goes down to earth which they dont want. There is absolutely no way in hell MS would allow this. But if they did I'd buy the second it hit the shelves. 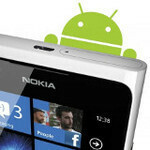 Nokia analyzed android before commuting to Windows Phone and found it wanting. Not much has changed in the intervening years other than market shares. Phone popularity is a revolving door: palm and Windows Mobile went out, blackberry went in; blackberry went out, apple went in; apple went out, android went in; apple's still exiting as Windows Phone is coming in. To whit, if Nokia did make androids, they'd be as buggy and crash-prone as any other android device. I haven't heard of one as smooth and reliable as even the basic Windows Phones. Wow...something me and analysts actually agree on....well as long as mr s***ty Elop is here then he will be to busy loving WP than to see the light of day! Nokia can adopt Android, nobody disagree... But if Nokia adopt Android, will it sell like hot cakes? Will it help Nokia beat Samsung? Will Nokia be the king again? Nobody knows. And Windows Phone is growing, so you don't need to worry about anything, apps are coming, games are coming. If Nokia adopts Android, I hope they won't abandon Windows Phone. Stop whining like a baby and face it, let the CEO decide, you're not a CEO so you can't decide anything. The best thing to do is to shut up. Their hardware is excellent. With good marketing I strongly believe Nokia can sell very well. Nobody is asking Nokia to beat Samsung. They are only asking them to make inexpensive Android Smartphones that are excellent for their price. For eg. how about a 200$ smartphone that runs Android 4.2.2 has a decent camera, screen and build quality and it will sell like hot cakes especially in Asian and African countries. well, considering the only reason why people is buying them is because of nokia and not wp, and why people is not buying it because its running wp; i would switch. yeah wp is growing, but you fail to consider android is also growing and they have all the apps already. TROLL I've read the whole first page... And you come the closes with your comparison too Samsung here. Samsung even make more money than Nokia when it comes to WP's and TABS, look at that new Ativ Q coming out running Android and Windows. If Nokia is to compete with Samsung, their gonna have to work like Samsung... Don't limit yourself to one OS when your competitor in selling smartphones in 4 or 5 other OS's.